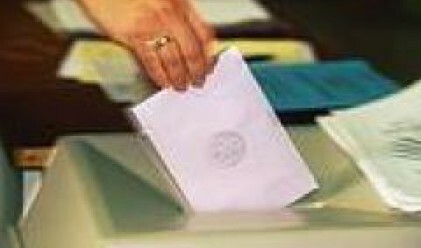 If parliamentary elections had been held in early May 2008, 27 per cent of the adult Bulgarians would have voted for GERB, according to a survey by the National Public Opinion Centre. The survey was held between April 29 and May 8 among 1,000 respondents. Overall, voter attitudes to the key parties in early May remained largely unchanged from March. GERB's is the highest hypothetical vote of all parties'. The bulk of GERB supporters are in the 30-59 age brackets. They have solid education background, live in the district centres and have a living standard that is close to the average. The present voter support for the Bulgarian Socialist Party (BSP) is around 16 per cent. This party continues to rely mostly on its traditional electorate: senior citizens (over 60 years of age), of poor education, poor and small town and village dwellers. The third most supported party is the Movement for Rights and Freedoms (MRF) which gets 8 per cent of the hypothetical votes, 1 per cent more than in March. MRF's voters are aged below 40, of poor education, living standards close to the average, of Turkish of Roma ethnicity. Ataka is the fourth in the ranking, with 7 per cent of the hypothetical votes. The typical Ataka supporter is male, aged 50 to 59, of low education background and a small town dweller. Voter support for the Right-wing Union of Democratic Forces is slightly over 3 per cent, Democrats for Strong Bulgaria 2 per cent, the Simeon II National Movement 1.4 per cent. The coalition policy of the small parties will clearly take a central place in their efforts to broaden their influence, pollsters say.